I’ve resisted, arguing that the Classic was exactly the computer Apple wanted it to be – a successor to the Mac SE at a fraction of the price. As the first $999 Mac, it was pretty popular, although I’ve heard its poky performance and other limitations turned some owners off the Mac for good. From a strictly hardware standpoint, the two things that would make the Classic a Second Class Mac are the complete lack of an expansion slot and the unique memory card used to bring the Classic to 2 MB and beyond. The SE can take an accelerator, video card, or ethernet card in its expansion slot; the newer, cheaper Classic has no such slot. And without a special memory card, the Classic is forever limited to 1 MB of memory. I don’t consider that enough to label the Classic a Road Apple or put it on a “10 worst” list. These were reasonable compromises to bring the price so low. The real question is this: What in the world was Apple doing releasing an 8 MHz computer in 1990? When the first Mac came out in 1984, that was fast. It was still decent performance when the Plus came out in 1986 and the SE in 1987. But in 1990? 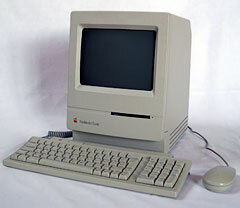 These were the current models when Apple unveiled the Classic, LC (16 MHz 68020), and IIsi (20 MHz 68030) in October 1990 – all of which make the Second Class Mac list. At the same time, Apple discontinued the SE and SE/30. The Classic replaced the SE, but there was a hole in the Mac line where the SE/30 had been. 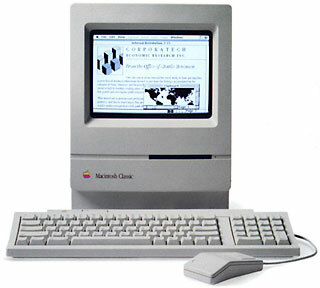 Apple had the opportunity to build the Classic as a 16 MHz 68000-based computer by using the work that had gone into the Mac Portable, which was also able to address up to 9 MB of memory. Apple may have considered making that; whether they did or not, they should have. I don’t think anyone would be suggesting the Classic as a Road Apple if it had been twice as fast and able to address twice as much memory as the SE. But the entire October 1990 release was comprised of compromised models. The IIsi could have run at 25 MHz, but it was scaled back to avoid competing with the IIci. The LC could have used a 68030 processor and/or not been hobbled with a 16-bit bus, but Apple didn’t want it to be perceived as an office computer. That kind of thinking – avoid competing with the top end and keep costs down – created the Classic. It was cheaper to stick with the 8 MHz processor, eliminate memory sockets, retain the 4 MB memory limit of the Plus and SE, and leave out the expansion slot. I have a Mac Plus with a Brainstorm 16 MHz 68000 upgrade. I also have a Mac Portable. I know exactly how responsive a 16 MHz Classic could have been, and that’s what Apple should have released in 1990, not another 8 MHz rehash. But should we label the Mac Classic a Road Apple or Second Class Mac simply because it should have been faster and because it could have been designed to support more memory? After all, these compromises allowed Apple to sell a base Classic (1 MB RAM, no hard drive) for $999, a remarkable achievement in 1990. In the end, when you look at the broader picture – no expansion slot, memory expansion required a unique card, and continuation of the poky 8 MHz CPU – and balance that with the breakthrough price, the Classic merits the Compromised Mac label. It is a Mac you should buy with your eyes open, knowing the possible limitations and never buying one without a memory card.